Your construction project should stand the test of time, so you should use only the best products and materials. 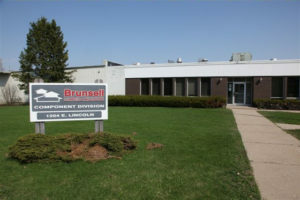 Brunsell provides materials and products that have the same quality and integrity you have to expect from a leading building supplier—combined into one point-of-purchase system. Designed to meet your unique and specific needs, regardless of size or custom design, the system is engineered to perfection using products from Trus Joist, including I-joists, Microllam, Parallam, Timberstrand, and Prem plywoods. Other products include Weyerhaueser Gold OSB (highest-quality SPF, studs, and plates available), select structural 2 x 10s and 2 x 12s, MSR-SPF material in trusses, and much more. Because we use the highest quality materials, you will eliminate call backs due to squeaks, nail pops, and shrinkage. Quality assurance from leading suppliers guarantees comfort for you and your customer. Components produced with the highest quality products also ensures structural integrity. Are you building an intricate home? Our dedicated team of construction-business representatives, product designers, and product personnel will provide value-added design assistance—incorporating the perfect floor panels, wall panels, and trusses for your exact needs, including tall wall panels built to exceed code compliance. Every solution is designed to increase your productivity and efficiency as well as boost quality and profit. Our team is trained using the latest technology, including software that has virtually no design limitations, assuring even the most complex custom-home production is not a problem. Training is ongoing, providing a higher criteria so that you and your customer are pleased with system performance—no matter what type of home you build. 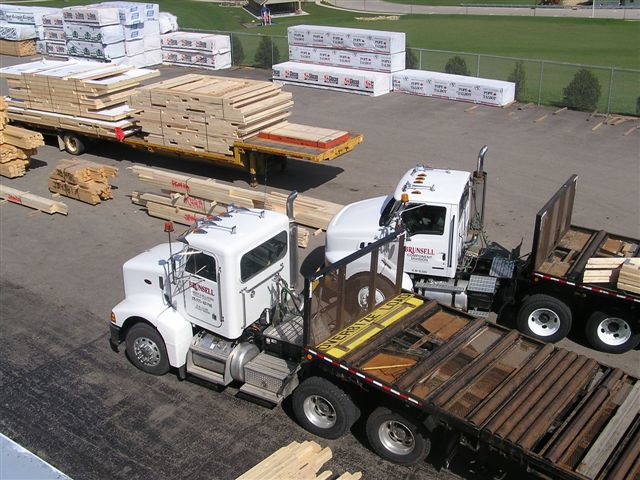 When you’re ready for construction, expect floor panels, wall panels, and trusses to be individually bundled, labeled, and delivered to your project, ready for immediate installation. Our job-site-consultation and field-measurement services assure accuracy, answer carpenters’ questions, and save installation time. As the project nears completion, we crosscheck each home for structural integrity from the roof through the floor system. In fact, we calculate and distribute roof loads through walls, windows, and door headers, right down to floors, beams, and the foundation itself—guaranteeing a structural design that is a step above code compliance. If you’re still building houses with stick-framed roofs, it’s time to consider Brunsell’s single point-of-purchase building system. Especially because the system also includes the lumber and plywood necessary to complete the roof framing. What’s more, it can incorporate products from our other divisions, including your choice of windows, doors, siding materials, millwork, cabinets, countertops, finish hardware, and more. Working with one supplier maximizes efficiency and saves time for both the builder and homeowner. Let our experienced custom home-building staff share with you the benefits of the Brunsell Building System. Simply call us at (608) 437-7183. — Testimonial name and reference available upon request.